When it comes down to industrial level cleaning, you’ve got to call in the big guns. Industrial type carpets require heavy duty cleaning. Normal steam cleaners, professional steamers or even commercial type cleaners don’t have the required “muscle” to clean these carpets. Why? Well for one, the level of stains and soil are on another level. These carpets come into contact with a multitude of different chemicals and surfaces that simply won’t be cleaned by using regular strength cleaners. Another issue is that while you have to purchase specially formulated carpet cleaner solutions, you also have to pay attention to the various types of industrial carpet cleaning machines available. When people think about carpet cleaning, they automatically think about the heat driven models. However, there are also many carpet extractor models which do not use heat in the cleaning process. Why is this important? Doesn’t heat give a better clean? Yes and No. It all depends on your carpet or the material in which you intend to clean. There are many carpets which are made of materials that are extremely sensitive to heat and water and will become irreversibly damaged if exposed to these elements. Most carpets that are made from natural fibers are very sensitive to heat and water and will shrink upon exposure. The best thing to do is of course to determine the material in which your carpets are made of and research if they have any heat or water sensitivity. In the case that they do, there are numerous non-heated carpet extractor models to choose from. If you are disappointed by this news, don’t be. The non heated extractor models are usually cheaper than the heat driven models. Also, they are dual purpose machines. You can use them for a wider variety of purposes and they can even be used as heated models! Yes, the non heated models can accept water which is heated up to 210°F. As a result they can be used for both purposes as needed. The next issue we will dive into is the type of cleaning solution that is used inside of these machines. As previously discussed, it is important to purchase cleaning solutions that are industrial strength because the dirt and stains they have to clean come in the extreme. Besides strength, another issue you should consider is the environmental safety of these products. Because of their strength, it is essential that it won’t be harmful to the environment. A clean carpet is of no use if the earth suffers as a result. 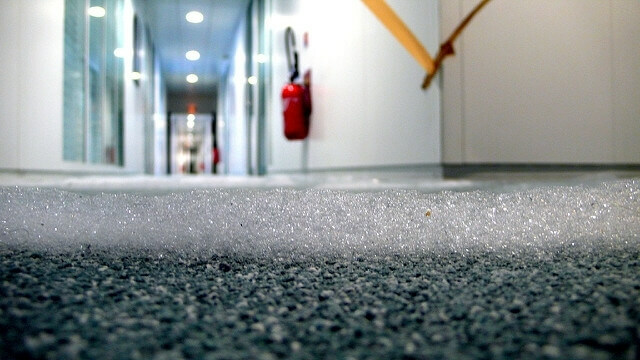 As a result of this concern, a standard was created called the Green Seal’s Environmental Standard for Industrial and Institutional Cleaners. Green Seal has published a list of products that are safe to use and are safe for the environment. The above list just shows a few of the available cleaners. One of the best models in this category is Daimer’s XTreme Power® XPC-5700. This carpet cleaner can be used for commercial and even home use. It sports the low flow technology which reduces the amount of water that is pumped into your carpet. This ensures that your carpet is at a reduced risk for developing mold and dries a lot faster. It boasts a mere 6 hour drying time which is much faster than most other competing machines. We have a look at the excellent Daimer and Vapor Clean steamers that is meant for commercial strenght cleaning.